GREGORY SHELLER, international marketing specialist, is well known and respected in the real estate community for his outstanding work in many of Sarasota 's landmark developments. His thirty years of experience in both residential and commercial real estate has given him a solid background in every area of buying and selling property. A multi-dimensional realtor, his credentials include a comprehensive knowledge of construction, expertise in the field of mortgage financing and a fine-tuned understanding of the Florida marketplace. This combination of talents, which also includes the negotiating skills needed in today's complex market, led to a testimonial recently by a satisfied client who named Greg "a man for all real estate reasons." Greg believes that each property, like each client he represents, has distinct characteristics. His ability to develop a customized marketing plan for each home is a decided asset for his clients. There is no one-size-fits-all program in his approach to real estate. Greg's professional opinion is that individual strategies and individual client services are key elements of every transaction. Greg is in the top echelon of his profession. His resume is much more than a career profile; it is a blueprint for clients who want and demand the highest quality representation. People who expect a caliber of service far beyond the ordinary. In addition to his real estate work in Sarasota , Greg has successfully marketed and advertised properties in Ft. Lauderdale , West Palm Beach , Boca Raton and other prestigious Florida communities. He most recently expanded his worldwide reach by serving as President and CEO of Eurostructures International Ltd., a Romanian real estate development and financing company which is active in the Florida market. Although he enjoyed the time spent overseas, working in the international arena, Greg says, "I am happiest when home in Sarasota . My friends and my interests are here. And there isn't a better place in the world to live." ROY MIDDLETON, has been a licensed Real Estate agent in the State of Florida since 1995. Born and raised in Sarasota since 1977. He was a Registered Certified Appraiser for 5 years. He moved away for a few years and lived in Dallas, TX and Naples, FL but Sarasota is the place he loves and knew this is where he belonged. As a single father, he knew Sarasota was the place to raise his daughter. There are many reasons, but primarily it was the people, schools, culture, natural beauty and opportunities Sarasota had and continues to offer. 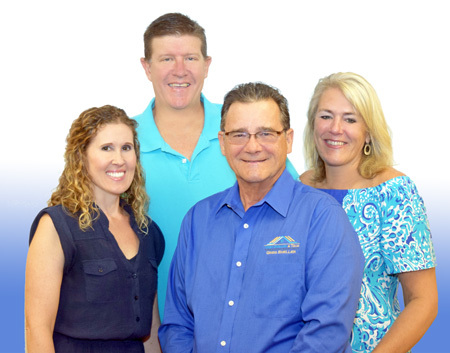 Roy would like to share his knowledge of the area and many years of experience as an Appraiser and Realtor so that when it is time for you to purchase in the Sarasota/Bradenton area, he will help you make the best decision that is right for you! KAREN STRICKLAND, Realtor, moved to Lakewood Ranch, Florida from Upstate New York. She studied Elementary Education at Syracuse University, obtained a Masters in Reading, and proceeded to work for over 27 years teaching. Passionate about horses and boating, the move to Florida was a natural fit for this land and sea enthusiast. Her zest for real estate stems from being rated a highly effective teacher, hence sparking her drive to provide clients with the utmost professional attention, communication, and dedication. With her vast personal experiences with equestrian and coastal properties, she looks forward to navigating you through your next real estate adventure. People who spend more than six months in Florida will need a special visa. The purchase of a business may fulfill those requirements. Andrew Batty will source available enterprises, perform due diligence, and identify those capable of supporting a visa application. The Florida Consultancy has purchased businesses and maintains a network of professional advisors to give a complete service. Copyright © Gregory Sheller 2019, All Rights Reserved.